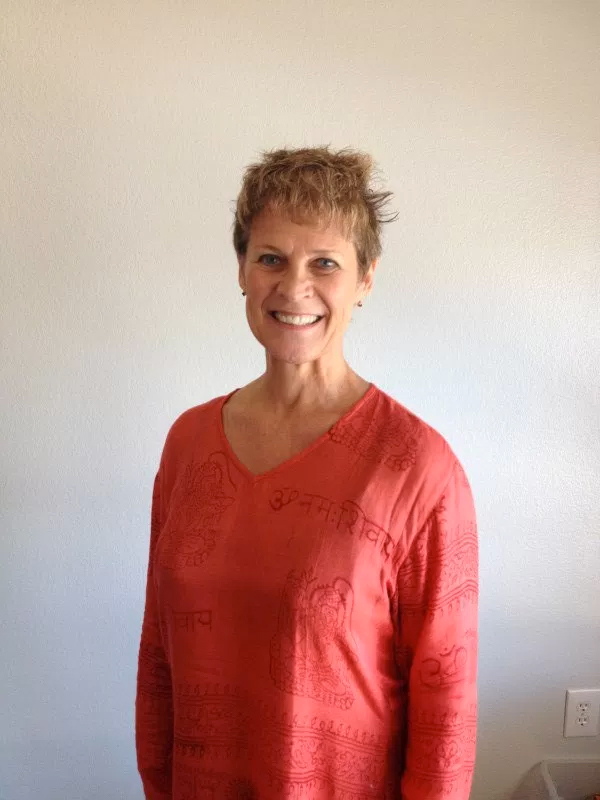 Paulette is Certified to teach Bikram Method 60, 90 and Silent Classes. In 2007, my daughter suggested I try something called Bikram Yoga. I was not excited to do a workout that would leave me drenched in sweat locked in a hot room. Since it worked so well for her I decided to try it months later. I signed up Jan 1st for a 60 Day Challenge to see if I could keep up with the young folks, and started doing doubles in the first 3 days. The rest is history. When/Where did you graduate from teacher training? Las Vegas Hilton, Spring 2010. It’s an experience that will change your life forever. My background is nursing, so I have witnessed the deterioration of peoples health through poor choices. With the recent turmoil surrounding health care reform and disease prevention in the US, I truly believe that Bikram Yoga is the answer. It is a prescription and it works. My personal motto is “Your health is your wealth”. I have healed cervical subluxation, knee subluxation and a torn rotator cuff without surgery. I plan to spread the message of Bikram Yoga to everyone so they can benefit from it and live well as healthcare becomes more difficult to get. Encouraging people. Being an example. Helping to bring peace, love and joy to lives. Take care of your body and your body will take care of you. Being a nurse for 41 years, I have always been about prevention. Medicine is a practice~ yoga is a practice…you choose. Yoga is medicine… and it works! Let go of the past, don’t worry about the future – just be in this moment on your mat.